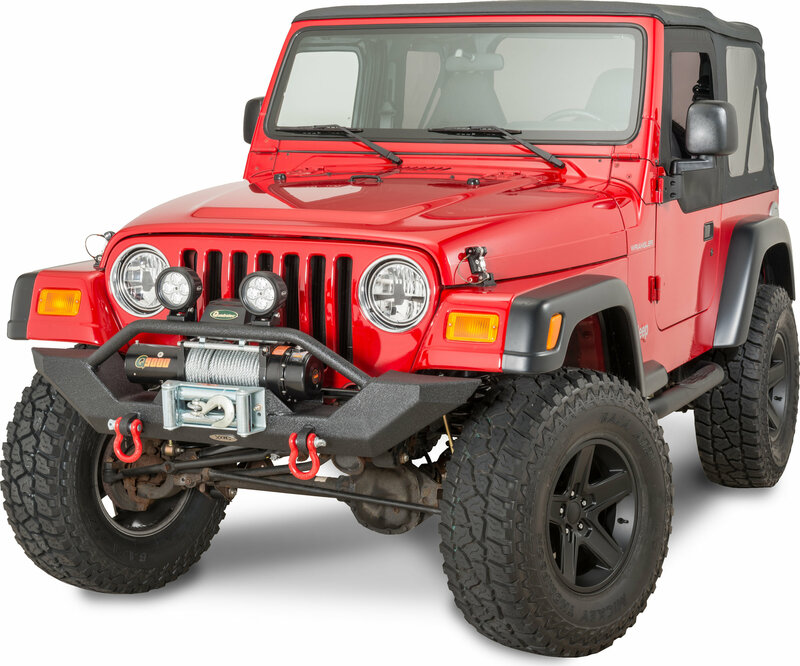 The XRC bumper has high degree approach angles and raised corners to maximize ground clearance, with 3/16" cold rolled steel bars robotically welded to the exact specifications. A two stage textured matte black powder coat is then applied for the ultimate look. The Q9000 provides all of the capability that most enthusiasts will ever need at a great price. The powerful 4.8 HP series wound motor and class leading low gear ratios give fast line speeds with a Battery Friendly low current draw. Holes for mounting on the frame didn't match up. Had to grind them out wider. Looks good but what a pain that was. Got what I wanted for a great price! Only problem was winch didn't come with instructions, and the top Mount brackets for the winch solenoid were not the right ones. Had to drill new holes and tweek the brackets to make them fit. All in all good product, just be a little tough for someone that has never installed them before without directions. What size D-rings fit on this bumper?